This week’s Top Ten Tuesday, a meme hosted by the The Broke and the Bookish, is all about checking in with our favorite literary characters from our childhood. It’s great when you’re a kid reading about other kids–often from magical places–but what would those characters’ lives be like when they’re all grown up? I can only imagine all of the shout-outs to Harry Potter from other book bloggers, but I’ve purposefully left that series off my list. As much as I love Harry and friends, let’s make room for other awesome novels! A couple weeks ago, I was sitting on a train listening to music and reading Eleanor & Park by Rainbow Rowell–you know, minding my own business. It was a Friday evening, and everyone was excited to watch the SF Giants open their baseball season. Well, except me, because I could not literally care less about sports. Anyway, one particularly inebriated young man sat down in the seat next to me and loudly asked into my headphones what I’m reading. Startled, I mumbled a few sentences to him while he looked at me blankly before offering me a swig from the wine bottle he was holding. I politely declined and returned to my book, realizing with full force that I just experienced the strangest PTSD of my life. Eleanor & Park is titled after its two leading characters, who during the 1980s develop a budding teen romance while riding the bus together to and from their high school. Eleanor is the chubby new girl, ostracized immediately for her weight, her wild red hair, and her strange attire of oversized menswear. Park, on the other hand, is Omaha’s token Asian guy. A lover of punk rock and comic books, he’s an outsider is in own right but left relatively unscathed compared to the ruthless bullying Eleanor suffers. At first, he’s fearful that her unpopularity is contagious, but it’s his kind heart that makes them fast more-than-friends. Sitting on that train reading this story reminded me of all the bullying I experienced on my own high school bus–the name-calling, the things thrown at my head, the desperately looking around hoping somebody would come to my rescue–and for a moment, I felt like it was just yesterday. Despite the pain of all those memories flooding back to me, that’s why I enjoyed this book so much. Rowell has an uncanny way of bringing the teenage years to life, which is why it’s no surprise that she’s dominating the YA genre right now. Fortunately, I never went through the abuse and neglect that Eleanor is victim to (never have I hated a mother in literature so much), but I can imagine how much deeper my emotional scars would be today if I didn’t have a loving, supportive family. Some readers may characterize Eleanor as harsh, rude, and distant, but I see her as someone who has built up walls to protect herself. The love between Eleanor and Park is passionate without the insta-love and heartbreaking without the melodrama. It’s a realistic tale of what happens when the person closest to you is both your problem and your solution. The book’s enigmatic ending leaves room for hope, but I’m not going to lie–this story hurts me. It hurts me because I was hurt before, and even though reading Eleanor & Park was like scrapping off old scabs and pouring salt in fresh wounds, I’m grateful for the catharsis. And on a lighter note, how refreshing it was to read about a Asian male love interest–one who loves wearing eyeliner, no less! All in all, this was a great novel, and I want to thank my friend Marilyn for gifting it to me. I’ve got Fangirl on my bookshelf waiting for me, but I think I’ll need a breather first. I’m glad to say that I’ve finally read Rainbow Rowell, and this book definitely lives up to the hype. Highly recommended! And another series comes to an end with Library of Souls, the finale to Miss Peregrine’s Home for Peculiar Children by Ransom Riggs. I would have never jumped on this bandwagon without the recommendation of a good friend of mine, but I’m so glad I did! Following the story of the last sequel, Hollow City, Jacob and Emma must put their lives at risk in order to save their fellow peculiar friends, Miss Peregrine, and the rest of the ymbrynes, who have been captured by the sadistic wights. As the plot thickens, it becomes a battle between siblings as Miss Peregrine must confront the betrayals of her brothers, Bentham and Caul, who have been experimenting with the souls of peculiar children for their own gain. Jacob also must find inner strength to harness his ability to control the menacing tentacled monsters known as hollowgast. When he learns of the addictive substance of ambrosia, will he succumb to the temptation to use it to fuel his own powers? I can’t say too much without giving away this story, but it’s a wonderful tale of supernatural suspense. As always, Riggs sprinkles in his creepy, cool vintage photographs to amplify the spooky mood. When I recommend this series, I explain that it’s like X-Men, but with young children, and this description still rings true. The war between mutants and humans in that comic book series is similar to the one between peculiars and normals in this tale. It’s entertaining to read about people who can manipulate fire or levitate, but it’s more intriguing to watch whether they use their abilities for good or for evil. My only complaint with Library of Souls was its treatment of the hollowgast. Despite their dangerous nature, I sympathized with the creatures as Jacob honed his power over them. I wished that Riggs would have offered a more happy ending to Jacob’s first hollowgast, because the Holocaust-esque experiment that it was subjected to broke my heart. 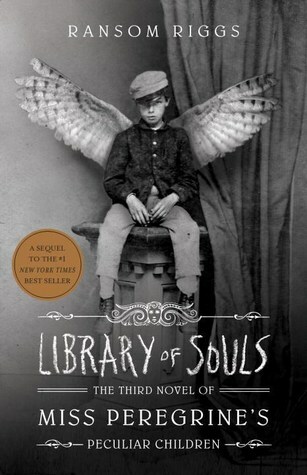 Other than that, Library of Souls was the gripping conclusion to this series that I was hoping for, and I’m so looking forward to Tim Burton’s adaptation, starring Asa Butterfield as Jacob and Eva Green as Miss Peregrine. It is scheduled for release on Christmas of next year. This ends my reading journey of 2015 with a total of 23 books completed! Be on the lookout for my review of Beautiful You by Chuck Palahniuk in the new year–I’m saving it until after my book club next week, because I have WAY too much to discuss! My week off has flown by, and tomorrow I travel to NYC for one of the biggest tradeshows in the software industry. I’ll be much too busy with work to blog, so to leave you on a high note until I get back in October, I’ve created another vlog! In this video, I take a look at a few insanely popular YA novels and recommend some classic alternatives. 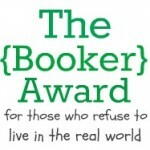 Given that the vast majority of book bloggers focus primarily on young-adult fiction, I wanted to encourage them to read outside their comfort zone. Many readers may think that the Western canon is full of boring tales written by dead white people, and although I can’t deny its lack of diversity, I can speak for its merit. There are tons of reasons why we read these literary classics in school: the themes are timeless and the writing is superb. If you’re a huge fan of YA like I am, then I highly recommend that you challenge yourself with these older novels. Sure, you might have to look up a tough piece of vocabulary or review the SparkNotes to get a better understanding, but it doesn’t hurt to exercise your brain every now and then! In fact, I believe that you’ll appreciate your reading experience more when you do. When I read a book like P.S. I Still Love You, I’m reminded of why I feel conflicted about reading YA that is not wrapped in the dystopian or supernatural. With no layer of escapism, all that you’re left with is teenage drama–and let’s just say that I had enough of that to last a lifetime. For those like me who were nerdy and unpopular, who valued good grades and good books over football games and house parties, high school was definitely not ‘the best four years of your life.’ In fact, if anyone does happen to spew that nonsense at me, I immediately distrust them. Someone could build a time machine and offer me $100 million to relive my high school experience, and I would still laugh in his face without a millisecond of hesitation. 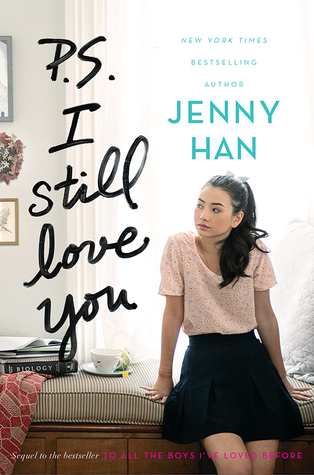 So when Jenny Han’s sequel to To All the Boys I’ve Loved Before opens with the aftermath of Lara Jean Song’s class ski trip, in which someone secretly filmed her steamy hot tub make-out session with her boyfriend Peter Kavinsky and then put it online for all to see, it struck a nerve, and I felt a deep empathy for her. I can’t imagine how difficult it must be to suffer through your teenage years in the digital age. My generation was the last to know what the world was like pre-social media, considering that Myspace and Facebook had only started gaining popularity when I was in high school. I was bullied mercilessly without the assistance of cyberspace, so I’m filled with horror when I think about just how much worse the torment can be nowadays. It is extremely difficult for me to set aside my biases and review this book objectively. Every step of the way, I see myself in Lara Jean’s shoes. I give Han credit for making Lara Jean seem so young; there were many times that I felt that her character was way too naive, but I realize that I can only sense this after years of disillusionment. I have to remind myself that I too was equally sheltered and gullible, until my horrible peers shredded my innocence and my ability to believe the good in others. My less-than-enjoyable high school years also made me despise Peter with the fire of a thousand suns. 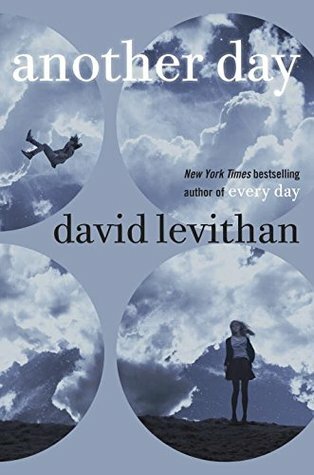 His decision to emotionally support his ex-girlfriend instead of Lara Jean, thereby making her look like an utter fool to the entire school, eerily mirrored my own relationship drama and left a bitter taste in my mouth. Boys who care so much about making everyone happy and not picking sides are cowards who will not stand by you when you need it the most. In other words, Switzerlands don’t win wars. That being said, this book is wonderfully written and kept me turning the pages. I thought it cute to incorporate Lara Jean’s volunteering at a nursing home, and I’m still a fan of the Song family dynamics, which have now extended into the dad’s dating life. I also really loved the reunion between Lara Jean and John Ambrose, who is a shining light among the sea of loser guys who go to this school. I’m sure that I’m not the only one who was woefully disappointed in Lara Jean’s choice at the end of the book, and I hope that Han writes another sequel just so her protagonist can grow up and learn from her god-awful relationship mistakes. I’m happy to read more about Lara Jean’s teenage years, even if it means coming to terms with my own in the process.